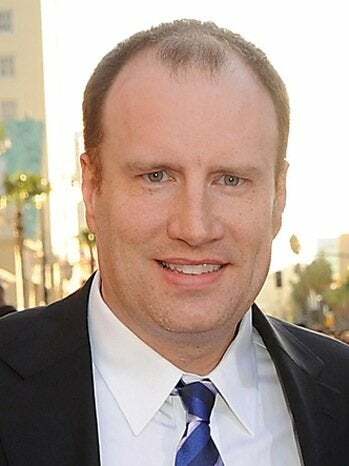 An Open Letter to Kevin Feige, president of Marvel Studios. You don't know me, but my name is Remedios Varo. I've been a fan of Marvel characters since I was a pre-teen and fell in love with the X-Men on X-Men: Evolution. Since then, I've moved on to enjoying the films of the Marvel Cinematic Universe and now, little by little, Marvel Comics. "I think it comes down to timing, which is what I've sort of always said, and it comes down to us being able to tell the right story. I very much believe in doing it. I very much believe that it's unfair to say, 'People don't want to see movies with female heroes,' then list five movies that were not very good, therefore, people didn't go to the movies because they weren't good movies, versus [because] they were female leads. And they don't mention Hunger Games, Frozen, Divergent. You can go back to Kill Bill or Aliens. These are all female-led movies. It can certainly be done. I hope we do it sooner rather than later. But we find ourselves in the very strange position of managing more franchises than most people have — which is a very, very good thing and we don't take for granted, but is a challenging thing." Mr. Feige, this isn't the first time you've waffled on the question of how soon the MCU will have a female-lead movie and I'm sure it won't be the last, but my patience is starting to grow thin. Marvel Studios has released ten movies so far, and I saw the most recent one — Guardians of the Galaxy — over the weekend. I loved it; I know it's technically a part of your studio's Phase 2, but I really think it marks a turning point in the MCU canon. For one thing, the visual effects were out of this world, no pun intended. Secondly, in Guardians we finally met the big bad of the Marvel-verse, Thanos, as well as a Kree, one of the alien races omnipresent in the comics, and we went to Knowhere, easily one of the most unusual locations in Marvel. We are deep into zany comic book territory now, and there is no turning back. As much as I loved Rocket and Groot, it pains me that you found them more deserving of a movie than say, Black Widow, who is the only Avenger aside from Hawkeye who hasn't had their own solo movie. Are you even familiar with Natasha's comic book origins? Her solo movie could be like Hanna but with Marvel Studios' star power. I know you've thought about it; Nicole Perlman, the co-writer of Guardians of the Galaxy, even wrote a treatment for a Black Widow movie at one point. If not Black Widow, there is always Captain Marvel, She-Hulk, the Wasp, the list goes on and on and on. Speaking of the Wasp, I recently learned that Janet Van Dyne, aka the Wasp, was supposed to be in the first Avengers movie but was cut in development. I know I should be content that at least Black Widow made the final team, but I like to imagine that The Avengers could have been even more amazing if the Wasp made an appearance. It's not like she was the one who named the Avengers in the first place or helped find Captain America in the comics. Moreover, the Wasp is not going to be in the forthcoming Ant-Man movie even though there really is no Ant-Man at all without Janet. If anything, this blasé attitude about Janet seems to indicate that Marvel Studios has possibly taken a few steps backward rather than forward when it comes to female superheroes. I find this reprehensible, and you really have no more excuses, Mr. Feige. You know you are doing something wrong, Mr. Feige, when staid Forbes Magazine of all publications calls you out on your behavior. I know this isn't the first time I've made demands about what kinds of characters I want to see in superhero movies, but it really doesn't get any simpler than wanting to see more female superheroes. It's the least you could do.